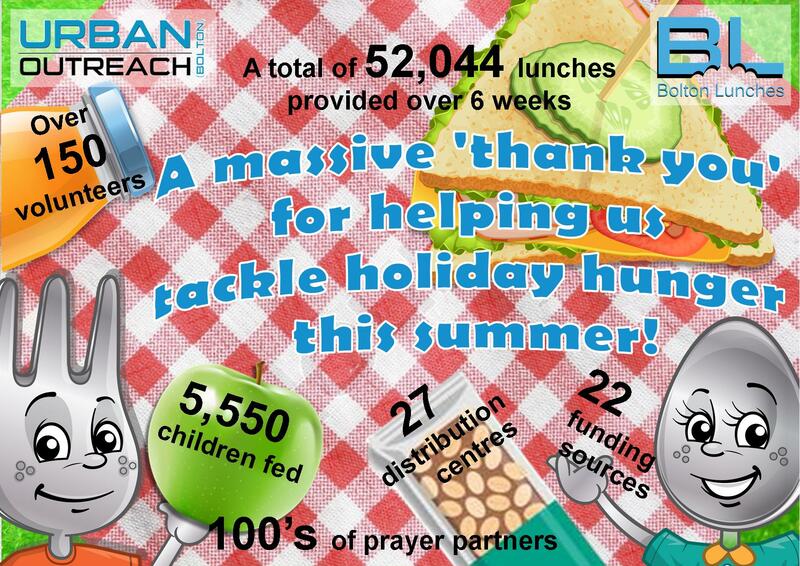 Urban Outreach Bolton – 52,000 lunches to keep holiday hunger at bay! Home / Urban Outreach News / 52,000 lunches to keep holiday hunger at bay! 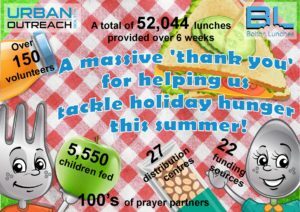 Our Bolton Lunches project has grown again this year – spreading more lunchtime joy to thousands of children in Bolton who would have otherwise ‘gone without’ during the summer holiday period. With the wonderful help of so many – both individuals and organisations – we were able to prepare and distribute over 52,000 lunches to children across Bolton. This staggering achievement would not have been possible without the practical help and financial support of so many for which we are truly grateful. Thank you one and all!